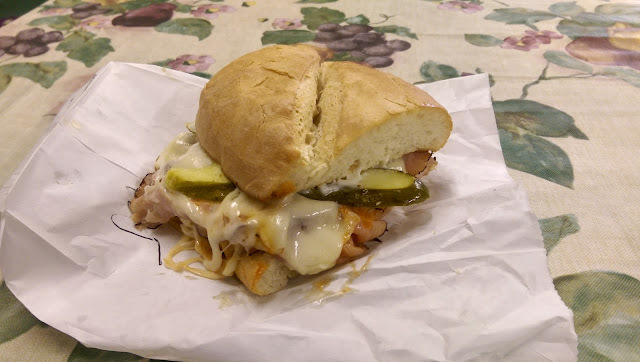 Located a couple miles northeast of downtown Dayton, Ohio, Charlie's serves up delicious sandwiches like the Cuban I recently had (shown below). Cabbage Rolls, a Rueben and a Gyro are also on my gotta-have-soon list, but you will find about any kind of sandwich imaginable. Open Monday through Friday from 8 am to 6 pm, so this is not a weekend joint.